Lego creations falling apart on cookie sheets throughout the house, Pokémon cards stashed in your favorite Tupperware container, heaps of mismatched doll shoes piled in a corner. . . Sound familiar? While we love the child that comes with the mess, a little less clutter would be nice sometimes. However, you can’t tackle the messy beast alone. If you really want to declutter toys effectively, your kid needs to be involved in the process. Mark a date on the calendar for Donation Weekend. We always do it the weekend after Halloween. With buckets of candy to keep us going (i.e. bribery), we can make it. Because it’s on the calendar at the same time every year, it gives me a chance to mentally prepare for it throughout the month of October. Plus, the kids look forward to donation weekend. It’s our family tradition. Explain why decluttering is important. Set up a store for the kids by category. This year we primarily focused on books for donation weekend. I set up a bookstore with every single children’s book we own. I gathered books from the basement, the living room, and everyone’s bedroom and set them up all in one place. Each area features a different type of book: picture books, non-fiction books, princess stories, Star Wars books, activity books, award winners and graphic novels. Divide up your “store” by category. Let the kids go shopping! With great fanfare, I invite the kids to the opening of the Wenzke bookstore. Each kid receives a packet of sticky tabs and they shop to their heart’s content. They can choose to keep anything they want by putting a sticker on it. Give your child sticky notes to go shopping. After the kids choose the books they want to keep, I put those books aside and invite them to go shopping again. Inevitably, the kids will have missed something, so repeat the shopping round one or two more times. I let my kids sleep on it and invite them to the bookstore for one last shopping trip in the morning. Between shopping sessions, remember to put the chosen books away so it’s easier for them to see the books that are still left. Invite the kids to shop multiple times. We reward the kids with three incentives: Halloween candy, cash, and new books. Our school book fair happens every October, so my kids can buy three books that we save as a reward for donation weekend. My husband and I also give the kids a cash incentive based on the weight of items donated. With books, shoes, and winter gear, they each earned $20 this year. Because of the kids’ efforts from our 2017 donation weekend, we donated over two hundred books to Goodwill and Bernie’s Book Bank. The kids donated 145 books to Bernie’s Book Bank. Why go through the extra work of bringing all of the books to one place when I can just scan the bookshelf for unwanted books? When everything is laid out, you see just how much stuff you have. Does it make a difference if I ask my kids what they want to keep instead of what they want to donate? Absolutely! This is the trick right here. This is how we got over the hump of giving items away. Instead of feeling sad about things they’re giving away, the kids feel happy about everything they’re keeping. 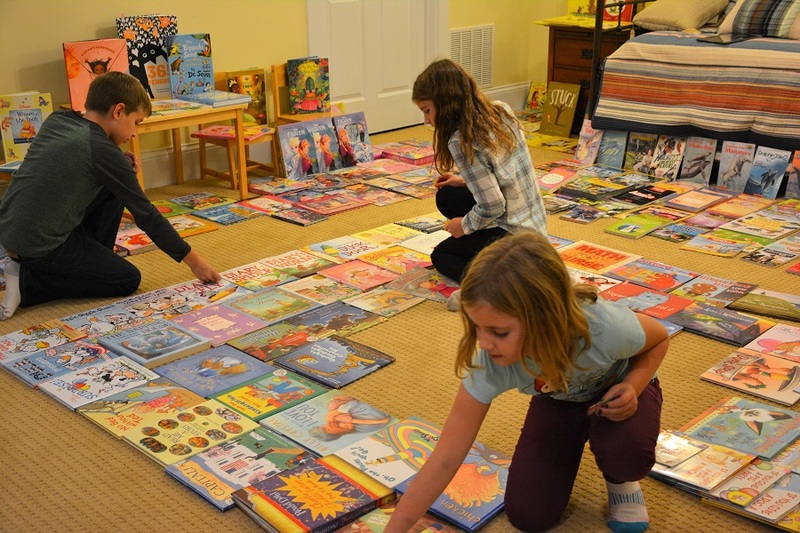 They feel excited to go “shopping” (for their own stuff) instead of making the difficult decision about which books to donate. Charlotte was excited to pick “Charlotte’s Web”. At what age should I teach my kids how to declutter toys? We started decluttering as a family when the kids were toddlers. Since our family moved around a lot, we didn’t want to throw things out without the kids’ permission. At that age, we kept more than we donated, but the kids learned about the decluttering process. It’s much easier for them now at ages 8, 10, and 11. What if my child wants to keep everything? Depending on how many toys you have, the age of your child, and your child’s temperament, it may be difficult to convince your child about the benefits of decluttering. Even if your child keeps twenty toys, but donates two, celebrate the fact that he could part with two toys. For the other items, you may consider boxing up his lesser used toys and storing them for a rainy day. This will help with the clutter until the next donation weekend. Can you come to my house and declutter toys for me, please? I’ll have to check my calendar and get back to you. Until then, you’ve totally got this. Should I Relocate the Family for My Job or Stay for His Job? So many great ideas to get the kids invested in the project..thank you! Thanks, Julie! It really helps my kids get excited about donation weekend. I hope it works well for you, too. While I don’t yet have an official “donation weekend”, I tried the book shopping/purging with my 5 year old and it surprisingly went great! We donated 2 big bags of books! Lucky for her I didn’t get a chance to drop them off for a few weeks, so she was able to dig into the bag to save a book that she no longer wanted to give away. (We didn’t do several rounds of shopping- that’s a great tip!). Thanks for the inspiration. That’s wonderful! Impressive that you were able to get your 5 year old to donate two big bags of books. You must be very proud. I love that you get the kids so involved in this! You are an inspiration in the art of decluttering. One of these days we’ll get to it…. My kids really love it. My youngest keeps asking me when we get to do the toy store again. LOL. If you ever try it, I’d love to hear what your kids think. Such a fun idea to involve the kids in de-cluttering, and to incentivize them with rewards while also teaching the value of charitable donations! I might have to try this one at home! I love hearing how other kids enjoy shopping at the book store or toy store in their own home. If you ever try it, let us know how it goes! So many great ideas! 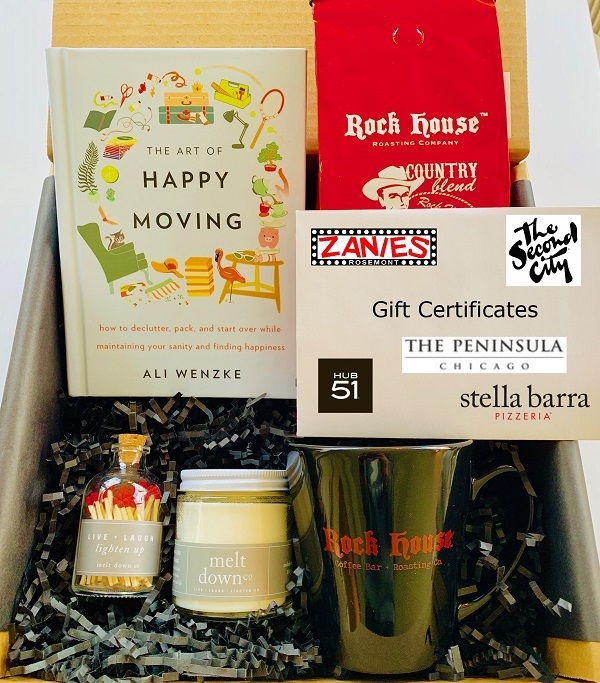 Thanks, Art of Happy Moving!!! Thank you, Jen. I really appreciate your kind words. The point about teaching them to want to declutter — and donate! — at a young age is so important! Thank you! Thank you so much, Beth! Great decluttering tips – and excellent life lessons for the kids. Another extremely helpful and smart blog post. 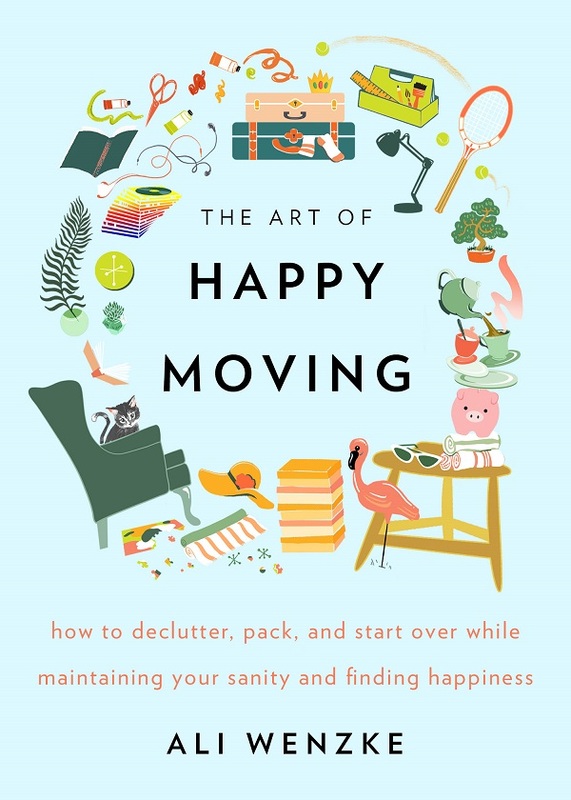 Thank you Art of Happy Moving! Thank you, Michelle! I’m so happy you found it to be helpful. The kids honestly have so much fun with it.